This entry was posted on June 6, 2017 by huntrogers, in 19th Century Irish Settlement, ancestry, Clare Valley, emigration, Famine Orphan Girls, Irish Times Abroad, research and tagged 19th century settlements in SA, Edward Gleeson, wineries. Bookmark the permalink. E.B. Gleeson was one of South Australia’s earliest pioneers. His legacy lives on in Clare, South Australia, which he named. Clare’s earliest large home in 1842 was named Inchiquin by Gleeson. Other Irish who followed added more Irish placenames. Edward ‘Paddy’ Burton Gleeson has found new fame in a recent Irish Times article in the Irish Abroad, reprinted here with permission of Arminta Wallace who has been writing for The Irish Times since 1986 on a range of topics, including travel. This article was inspired by a recent trip to Australia where she spent some time touring Tasmania. Arminta has relatives in Sydney. If your plans for the weekend involve a glass of red wine from time to time, and if – like this writer – you’re particularly partial to a southern Shiraz, you may well have opened one or bottles whose labels proclaim them to have come from Australia’s Clare valley. This area of rolling hills and verdant vineyards is a long, long way from Co Clare on the west coast of Ireland; but the name records a direct link between one end of the planet and the other. In July 1838, having sailed from Calcutta on the ship Emerald Isle, Edward Burton Gleeson landed in South Australia with his brother John. 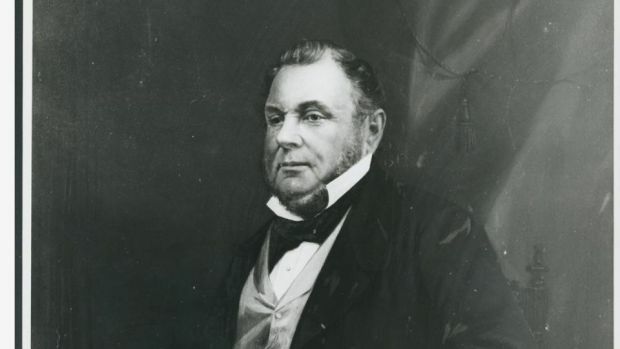 Born near Sixmilebridge in 1803, Gleeson had taken up a British government post in India where he seems to have prospered and alongside his ‘day’ job he also made a tidy sum from investing in local banks. But the tropical climate was having an adverse effect on John’s health, so the Gleesons decided to move to more clement climes. In Australia, Edward threw himself into cattle and sheep farming, establishing a property on the outskirts of Adelaide which he named Gleeville. In 1840, he took up a pastoral run in the Clare valley to the north, and in 1842 – having built himself a new farmstead called Inchiquin, set on a modest 500 acres – he drew up plans for a village nearby. The town went through several name changes but from 1846 onwards was called Clare. Its founder, known to all and sundry as ‘Paddy’ rather than by his given name of Edward, seems to have been a pretty canny farmer; by the 1850s he had acquired leaseholds on a massive 150,000 acres and turned his family into something approaching local aristocracy. Gleeson seems to have been a bit of a one-man band around the town of Clare. At one stage he was the postmaster; later, he became the first chairman of its district council. A gruff, stern sort of character, he is reputed to have taken his duties as a special magistrate very seriously, ruling the little townstead with an iron fist. During the Famine he encouraged Irish people to emigrate to the Clare valley and when, in the early 1850s, the St Patrick’s Society brought out 5,000 Irish girls to work in South Australia as servants, Clare was one of the handling stations for the operation. Eventually ‘Paddy’ Gleeson became the town’s first mayor, and was always referred to thereafter as ‘the king of Clare’. He laid the first stones of the Anglican Church in 1851 and was buried in its cemetery in 1870. Nowadays Clare is home to some 3,728 people and a favourite weekend destination for visitors from Adelaide in search of boutique wineries and pretty countryside. The street names are a reminder of its settler history – there’s a Burton Street, a Gleeson Street and an Inchiquin Road as well as a Daly Street and a Dolan Road – but the kings of 21st-century Clare are undoubtedly the winemakers of the eponymous valley. The name is deceptive. It isn’t actually a valley at all, but a series of four ridges with valleys in between, a topography which makes it possible to grow both delicate Rieslings and big, beefy Shirazes within yards of each other, a combination almost unheard-of among wine producers. The white vines are planted where they get only morning sun, the reds where they can bask in the afternoon rays. Many of these wine also have Irish roots. In 1852, as Edward Gleeson was getting into his political stride as a Clare district councillor, another man from Sixmilebridge, one Michael O’Neill, arrived in Adelaide. His descendants went on to be hoteliers and publicans and his great-great-great-great-grandson, Mitchell Taylor, ended up at the helm of one of Australia’s most successful wineries. It’s called Taylor’s Down Under, but marketed as Wakefield in the northern hemisphere to avoid conflict with a well-known brand of port. Another label bears the name Jim Barry. He was the grandson of an Ennis man who emigrated to Adelaide in the 1880s to work as a policeman. One of Barry’s wines, named after a townland close to the town of Clare, has become something of a legend in the Australian wine canon. The Armagh Shiraz is described by one website as having hints of ‘blackberry, mulberry and blueberry with . . . mint, eucalyptus, rhubarb, Turkish delight and cinnamon’. You can avail of a bottle for a mere €180. A drink fit for the king of Clare, perhaps?